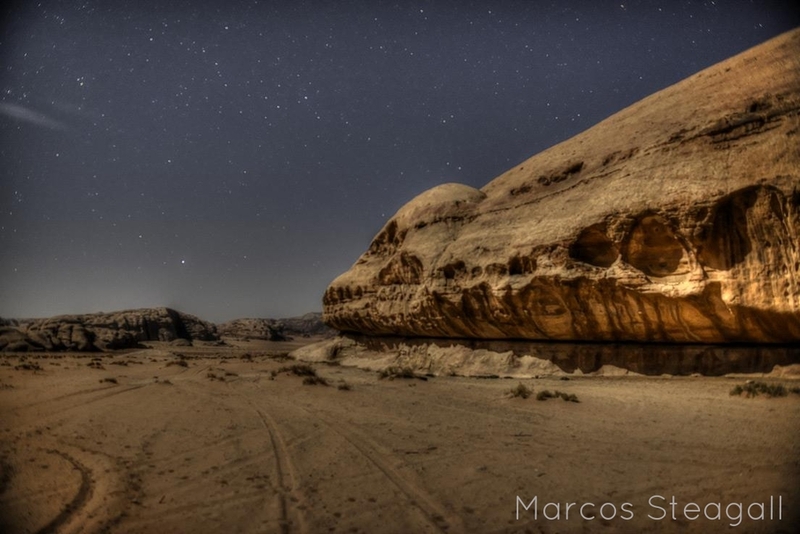 Enjoy this magical experience, travelling through the desert by night. under the stars like the three kings. This one hour Camel trek would be taken after dinner in the evening and we only offer this tour to people staying overnight in Wadi Rum at our camp. 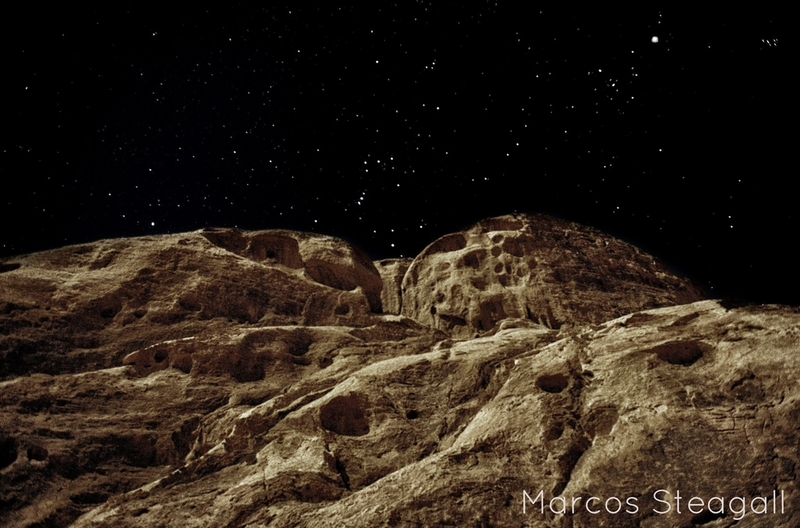 The desert by night is a magical intriguing landscape. At times when the moon is big and bright the desert is lit up in a silver light. When the moon is small the night sky stretches over your head with a billion stars sparkling. Shooting stars are frequently seen. 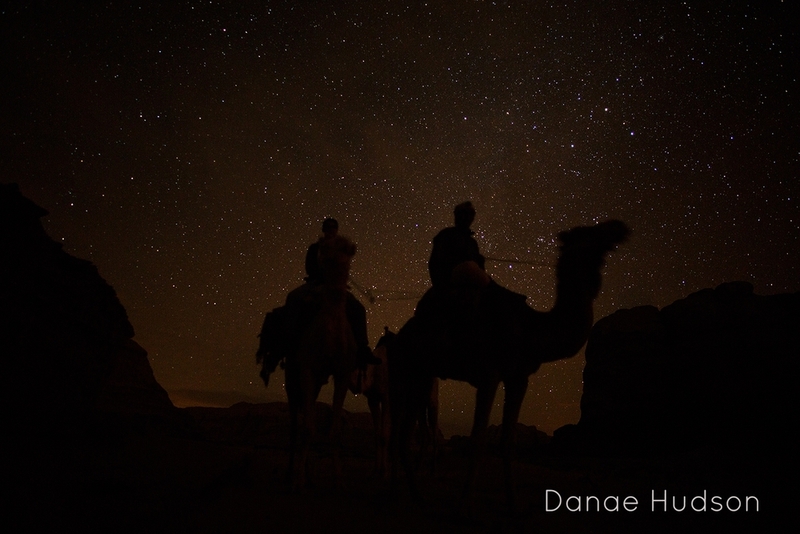 The Camel by night trek is a great way to get out into the desert 'nightscape' and experience the desert in a new way. The Bedouin in the past would always travel by camel in the night. For you, this trek becomes a window into the past. This Camel trek option is not a budget option because the guide has to come 3 hours from Rum village, take you on your trek, and then he needs another 3 hours to get back to Rum village. If you would like a 2 hour Camel By Night trek then I give you the second hour at a reduced rate. When you use Camels for a trek you can either use a guide who walks and leads your Camels by a rope, or you can use a guide who is mounted on his own Camel and leads you from there. As this is a short trek you don't need a mounted guide. However, if you prefer, we can arrange the mounted guide for you. With the mounted guide the experience is more authentic, and better for talking with your guide (as he is the same height). Everyone can travel at the same speed, and you can also take the opportunity to learn how to control your Camel a little yourself over the course of the trek. When you use the mounted guide you also pay for the cost of his Camel. 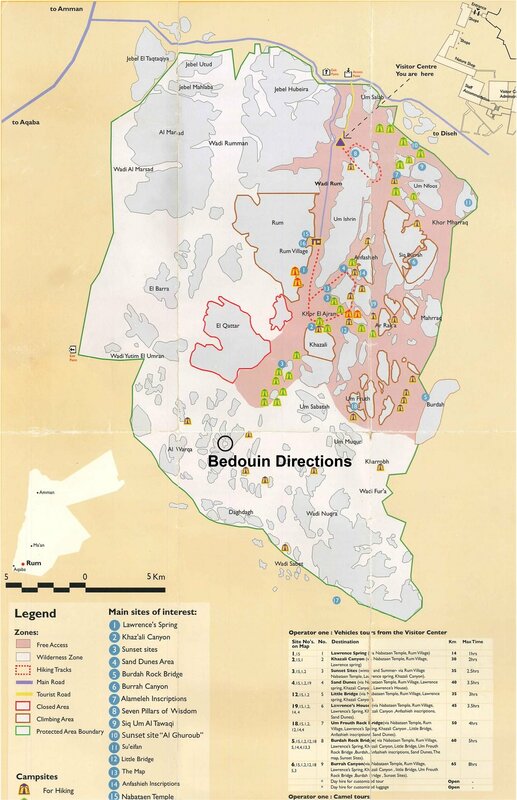 If you are looking to keep the costs down the walking guide is the best option for you. 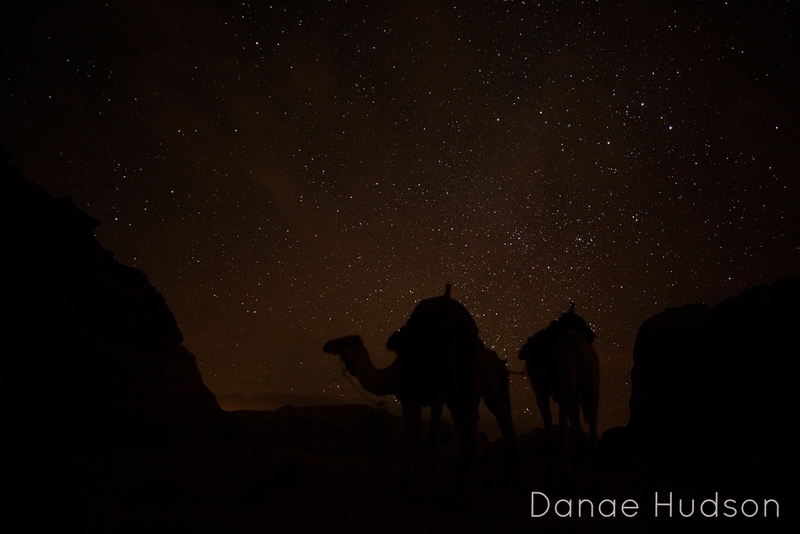 Thank you to Danae Hudson & Marcos Steagall for sharing their beautiful photographs of Wadi Rum at night. As a general rule Camel guides speak less English than other guides (Hiking, Jeep Tour guides). A discount applies to this trek when it is taken as an 'add on' to a full day Camel trek , the Camel Dreams program or to the Bedouin Visions 1/2 day trek. Please contact us if you are interested in booking this tour.